The availability of Green Fillers in this basket depends on seasonal and regional conditions. The basket can be used again for other purposes. 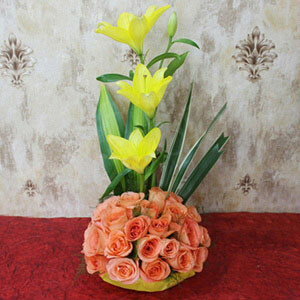 The basket contains Oasis foam to store water and keep your flowers fresh for longer. 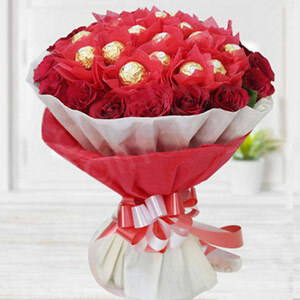 Red roses are associated with Aphrodite or Venus, the goddesses of love. 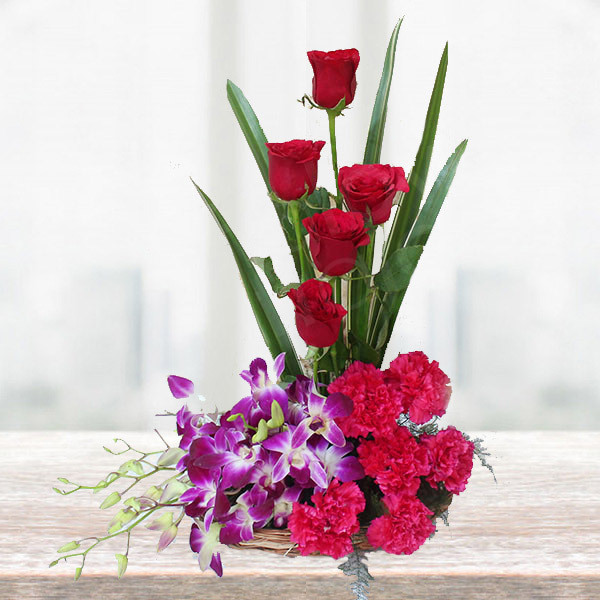 Carnations flowers symbolize pure love and affection of mother for children. Did you know that orchids have a life of about 100 years? 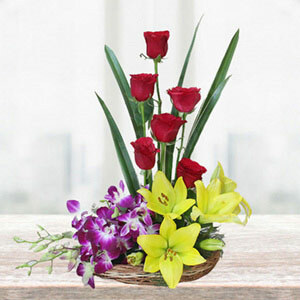 This one is a perfect flower basket arrangement that has been embellished beautifully. This is undoubtedly the best option to gift on any special occasion. The recipient will fall in love with you all over again. Green and beautiful leaves have been incorporated therein to add more charm to its elegance. Order this bouquet for celebrating this most romantic day of the year. A basket including different flowers and I must say that combination was really elegant, my wife just loved it. Thank you Giftalove.